Many of our traditional business system models have evolved out of the industrial age and are no longer relevant. As a result, we need to adjust paradigms towards a new way of thinking. We will refer to this new thought process as the “emerging mindset“. 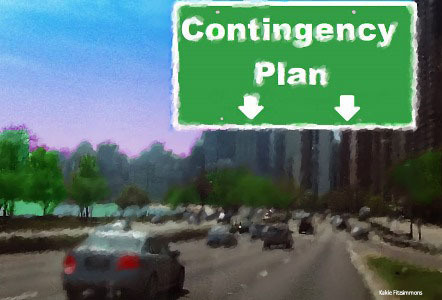 Today’s businesses are in a constant state of flux, adjusting in ways that entail combinations of reacting to unplanned fires blended with strategic planning. The external economic atmosphere is changing so fast that often, internal environments are unable to keep up, making organizations complex and more vulnerable than ever. Our world has seen intense progression in technology as of late, pushing us into a mode of hyper-connectivity, creating new open global capital market economies and new business models, impacting internal and external environmental factors in organizations. As a result, many businesses that were in place five or even ten years ago have ceased to exist. Many organizational cultures are in the midst of punctuated equilibrium we refer to as Revolutionary Change as they attempt to seek the right amount of stability. The emerging mindset will need to constantly scan what is happening on the outside, monitor the expectations of behavior complexity, maintain alignment of strategic direction and plan how to begin the momentum in ways that get everyone participating and excited about a new vision for the future. The new mindset will need to continue asking what can be done differently and whether anything is being missed. The consequences of not doing so have far reaching implications. Revolutionary change happens when something shakes an organization, presenting a clear need for a major overhaul, which will change the culture because the enterprise will never be the same again. Revolutionary and constant, accelerating change are not the same thing because accelerating change evolves. (Hence the term, evolutionary change). Revolutionary change is not linear or constant. It is chaos that disturbs the organization and leads to reshaping of its culture. Examples could include an unforeseen crisis, a merger or acquisition, new leadership comes in and changes business models and structure of organizations change, which may involve the process of forming a new vision and mission. The emerging mindset would view revolutionary change as an opportunity for all people impacted by the change to provide input so they feel they are part of the process and are building a future together. The way the change is led will set the tone inside and outside of organizations. When entities shift, it takes place in a context that surrounds human capital, which means the ways people respond in different environments are not predictable and how individuals interact individually and collectively will vary. It will be essential to observe social systems across many groups with varied norms. Radical change will introduce a broad array of issues that include managing resistance and emotions. The emerging mindset needs to keep in mind that employees have their own external factors they bring to work with them every day. Some of these issues could involve financial challenges, family conflict, supporting young children, caring for aging parents, striving to find the appropriate work life balance, and more. Systems affect employee power[i] because human capital has a broad array of needs and wants. (See table 1). Enterprises consist of one or many social systems with established rituals and decision making processes. The executive intellect will establish the climate for all of the relationships that go in, out and through the organization and feedback will come from it. That creates a framework and is an ecosystem by itself. The emerging mindset will determine how to respond through the constant tension across technology, operations and sales. The emerging mindset personality, how they are perceived, how they receive information, interact with others and communicate change will establish how those in the organization will be impacted and adjust. Revolutionary change begins with considering the system as a whole and examining each individual part. When something in an organization changes such as processes, policies, procedure or structure, a few parts will evolve and others will eventually be affected. It is imperative the emerging mindset know how to position and communicate revolutionary change. Planning for radical change requires mapping out thoughtful messaging by understanding how the past is affecting the present and what the future will look like. It creates a story and will help all in the organization have context for the vision. Emerging mindsets will understand the inputs, outputs and feedback that will come by scanning the social and political landscape to deepen relationships by understanding what is important to employees in ways that are authentic, and lead with that. While rewards may be one component of revolutionary change, an article by Luthans and Stajkovic, demonstrates reinforcing behavior for results is more successful than pay for performance[iv]. The emerging mindset can leverage this information to take swift action, then develop and point workers in the direction of the vision. Empowering workers to make good business decisions will help them feel more creative and part of the solution. When this occurs the result is more involvement and increased commitment. As employees go through change, leader behavior will be observed as well, so being centered and doing self-examination by paying attention to one’s own emotional intelligence and moral compass because they will play an important role. The goal and vision must be clear, direction understood and messaging consistently repeated. Announcements, communications and series of events should create a sense of urgency and be thoughtfully introduced with a tone of optimism that can get employees excited. Forming strong advisory coalitions for each division in an organization with subject matter experts will demonstrate a sense of order and that the work is already underway. If resources feel they have input towards the intended outcome and are part of the solution, buy-in could occur with minimal disruption. Response will also tend to be favorable if there is a way to celebrate, create rituals, establish norms and provide enterprise wide sensitivity or change management seminars facilitated by a 3rd party. Bringing people together from different areas creates open source opportunities where ideas merge and new knowledge is formed. Governance, departments, groups and individuals have power. Systems interact with their atmosphere, but the process of organizational change originates and winds up in the hands of the external environment. A system’s ability to thrive and survive is dependent on it. Do you have thoughts, questions or comments about this kind of change? Please leave a comment below and thanks for visiting my blog! [i] Luthans, F., & Stajkovic, A. D. (May 01, 1999). Reinforce for Performance: The Need to Go beyond Pay and Even Rewards. The Academy of Management Executive (1993-2005), 13, 2, 49-57. [ii] Gladwell, M. (2000). The tipping point: How little things can make a big difference. Boston: Little, Brown. [iii] Forrester, R. (August 01, 2000). Empowerment: Rejuvenating a Potent Idea. The Academy of Management Executive (1993-2005), 14, 3, 67-80. [iv] World at Work: Total Rewards Model. pp. 1-8. 2008. World at Work, (8 pages). ABUNDANCE: This is where energy, inputs, throughputs and outputs are constant and required in order for the organization to remain sustainable. Often, this activity is a good tool to reassure employees that extensive planning has taken place to ensure the company has the resources to carry out the change successfully. RELATIONSHIP AND WHOLENESS: This takes into consideration that the system has moving parts within it, all of which are interrelated, making up more than the sum of the parts. Burke explains revolutionary change as an unexpected event or activity which makes it clear a new mission, vision and strategy of a business are imminent. This accelerated change could be a form of punctuated equilibrium, which occurs between long periods of the being in steady state and requires a call to action in order for the enterprise to survive. Examples of revolutionary change might include a spin-off, merger, acquisition or significant alteration in the organization’s products or services. It could also be the result of an economic episode similar to the events of 09/11 or the market downturn of 2008. My next blog post will discuss details about forming the basis for revolutionary change and how emerging mindset influences interact to impact open systems. Do you have thoughts, questions or input? Please leave a comment below and thanks for visiting my blog! [i] Burke, W. W. (2008). Organization change: Theory and practice. Los Angeles: Sage Publications. I am excited about a rare opportunity I wanted to share with my readers. February 18th & 19th, the Minnesota Change Management Network (MNCMN) is hosting a once in a lifetime chance for anyone interested in the people side of change, to participate in conversations, hear and share best practices and receive training about navigating advanced change management at the enterprise level. MNCMN is bringing in Global Change Management Thought Leader, Tim Creasey, to host advanced change management certification workshops through Prosci®. Below are high-level details and a link for more details about the agenda and how to register. Some days I have a “love-hate” relationship with blogging because it isn’t a clean, cut and dry process. Although I have an idea of what I want to write, it takes time to figure out how to put the words together. This model is linear and there are tools to assess where people fall in the commitment process. Our goal is to make sure end users have to tools to effectively adopt, embrace and reinforce the change so the behavior is sustained post go-live. It is important to note that there will be groups and people who will move up the change commitment level at different strides, and in various ways. The right coaching plan roadmaps will be a great tool to guide sponsors and stakeholders so they are mentored differently to ensure message positioning is coming from the right channels and gets everyone excited. Increased adoption occurs when each group understands the current and future state, the business need for the change, how they will be impacted and what is in it for them to incorporate the new behavior(s), etc. Please share stories, challenges or remedies you have used to deal with resistance to change. If you would like to remain anonymous, just let me know in your post and I will be sure to honor that. Join the conversation and thanks for visiting my blog! Organizational change creates unavoidable uncertainty, resistance and chaos. Systems thinking can help in identifying negative consequences and to achieve positive outcomes. But the impact of transformation requires looking at people, groups and the larger system. By taking this approach, organizations can build change coalitions with employees at all levels. In times of uncertainty it is essential that everyone has the opportunity to provide input and feel empowered to make decisions. Formal rites of passage or rituals are important and often an overlooked tool to overcome these challenges. Rituals build culture, strengthen relationships and are particularly important for acknowledging challenges, celebrating wins or forging new paths. In times of change, stakeholders often need a way to declare it is time to say goodbye to the old way of doing things because there is no turning back. The idea of farewell as a process can pave the path towards embracing a shared vision for moving forward. Future Search Conference is one example of a tool that can help to successfully facilitate this process.